Already shortly after its appearance in the year 1996 the Knotted Chair by Marcel Wanders was considered a modern classic. 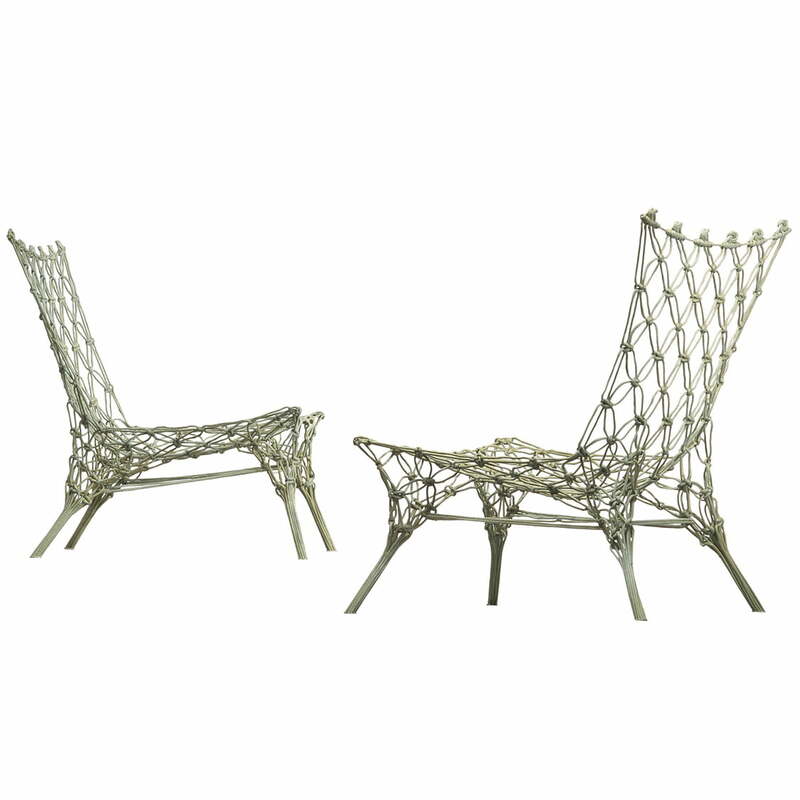 Through refined connection of classic handicraft art and modern materials, Knotted Chair is the perfect embodiment of Wanders’ design philosophy and a piece of furniture that couldn’t be more fascinating. 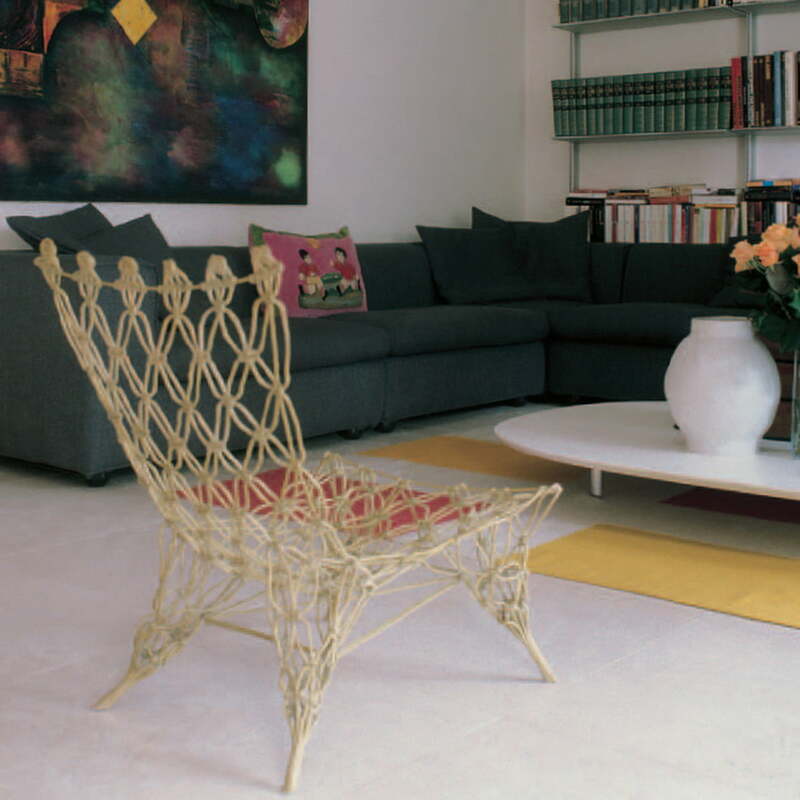 The Knotted Chair that is produced by the Italian manufacturer Cappellini is made completely of carbon and aramid cords. 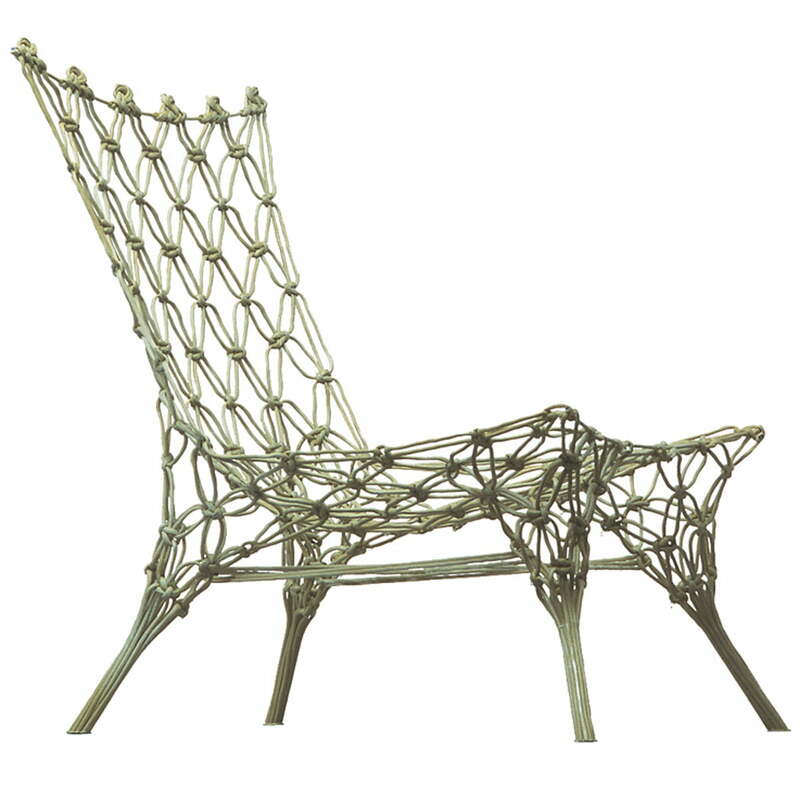 The cords are first artfully knotted like in classic handicraft art, until the form of the Knotted Chair appears. 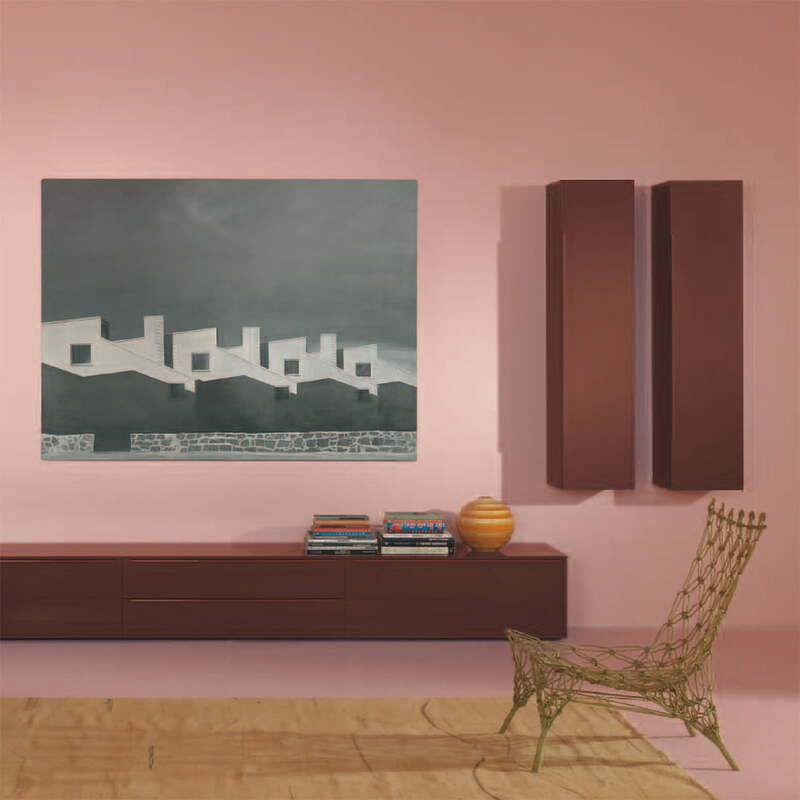 This still shaky and soft construction is then impregnated with epoxy resin and hanged in a frame to dry. Gravity finally brings the chair into its final form and the epoxy resin fixes it and makes the chair stable. The transformation of the soft and flat cords to a stable and three-dimensional object is fascinating. But the light look is deceiving: through the modern parts and construction methods, the Knotted Chair from Cappellini is robust and designed for daily uses like every other armchair. Marcel Wanders draws a large part of his inspiration from already existing and old things according to his own statement. “I am inspired by what already is”, therefore Wanders’ trademark is the combination of elements already popular and wholly new, the Knotted Chair is the perfect example for this. 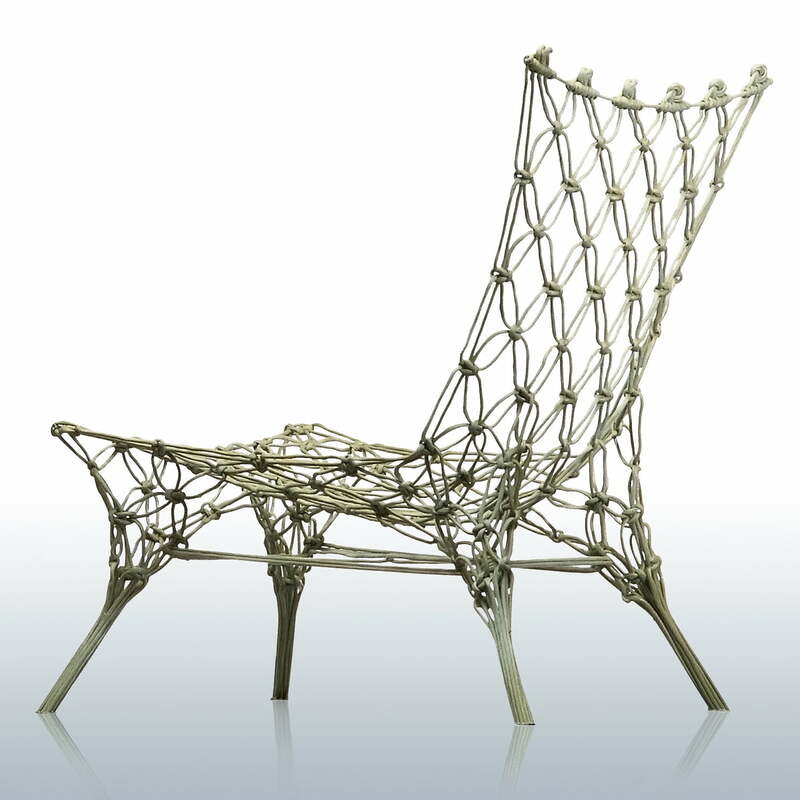 Originally Marcel Wanders designed his Knotted Chair in 1996 within the context of the Dry Tech I projects from Droog Design. 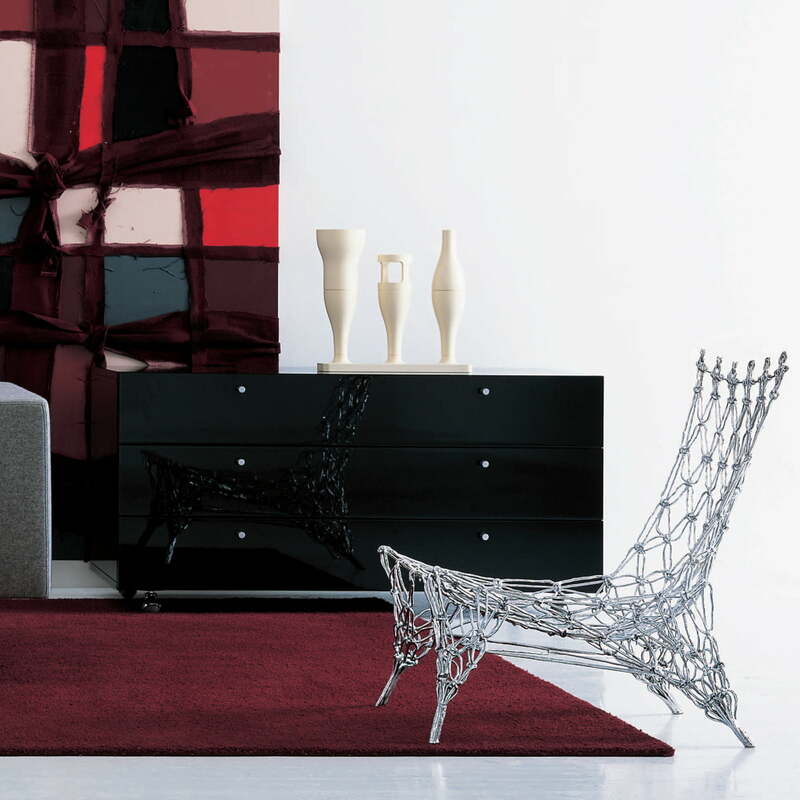 Meanwhile the armchair is produced by the Italian manufacturer Cappellini.